The KW Plug & Play DDC Coilovers are perfect for the enthusiast who wants the most out of their suspension but maintain the driving feel the BMW engineers worked hard to achieve. With the Plug & Play system you get the style and freedom of coils while keeping the intelligent adaptive suspension technology that gives your vehicle the versatility to be a commuter one minute and a race car the next. 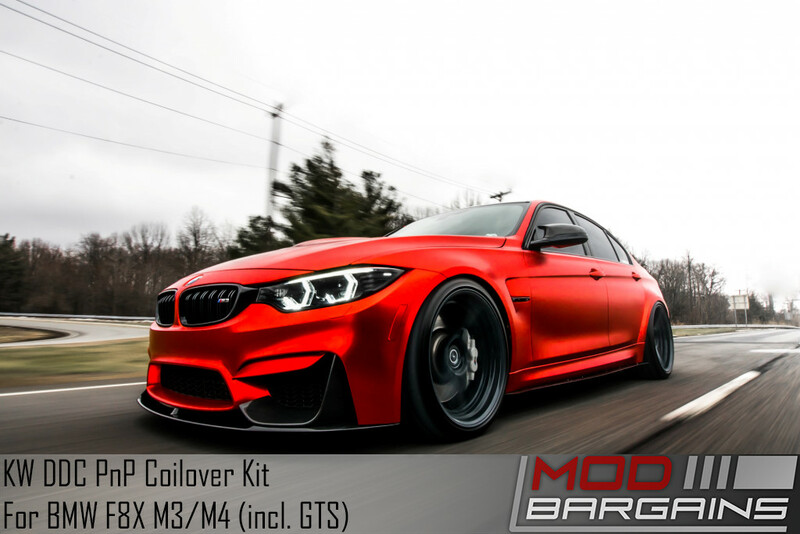 Stand out from the crowd: Eliminate the ugly factory fender gap that disrupts the sleek lines of your M3/M4. Full integration with BMW Adaptive M Suspension (EDC) means that at the touch of a button your aggressive performance vehicle is ready to deliver a smoother and more comfortable ride to you and your passengers. The M Division has a legendary reputation. You bought your M3/M4 because it's the best. KW's reputation for quality and performance makes it the perfect companion. Why settle for less? For the past few years there has been a big question plaguing BMW enthusiasts, making modification more daunting and vehicle option choices more difficult. It is the question of adaptive suspension vs coilovers. Do you want the comfort and versatility of adaptive suspension or the handling and style benefits of coilovers? This question can even affect when you're pricing out your new vehicle. 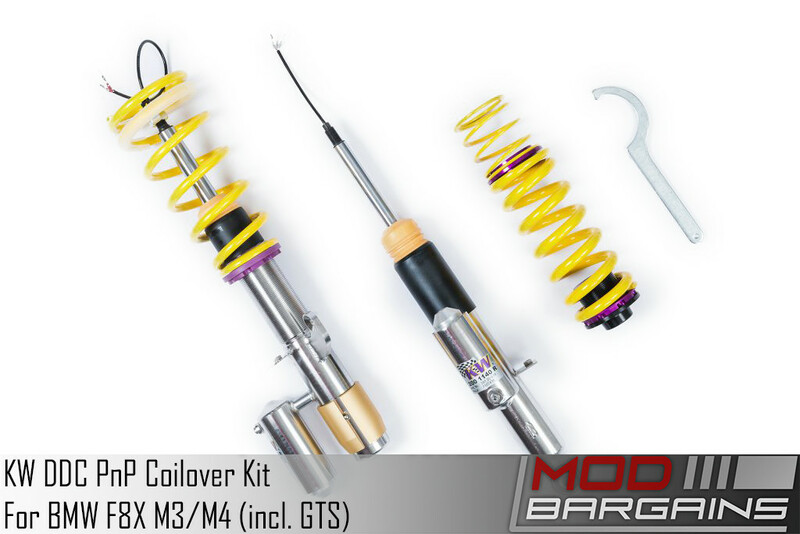 Do you opt for the adaptive suspension knowing you're going to want coilovers eventually or do you sacrifice the option to save yourself having to buy expensive delete kits in order to run coils, possibly hurting your resale value in the process? This is especially difficult with a BMW because of how advanced their adaptive technology is. It uses an array of sensors to monitor road and vehicle conditions, reacting as fast as 1/100th of a second to adjust to any situation. Thanks to KW you no longer have to make that choice. The Plug & Play DDC Coilover System plugs dircetly into the factory Adaptive M Suspension (EDC) and integrates with it. It's no longer a trade-off. You're not compromising style in the name of comfort, or performance in the name of versatility. You get KW's legendary quality, ride height adjustabiliy, and you retain the benefit of BMW's adaptive system working tirelessly to bring you the best driving experience possible.